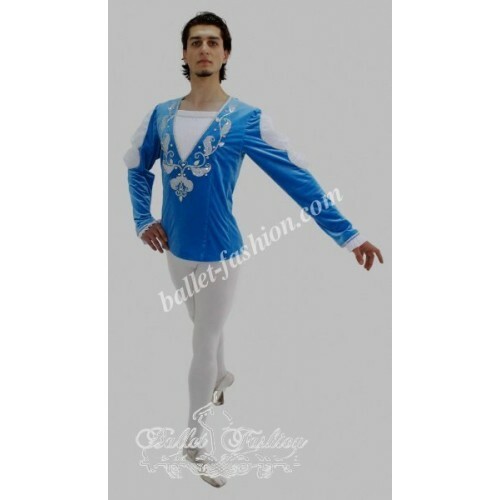 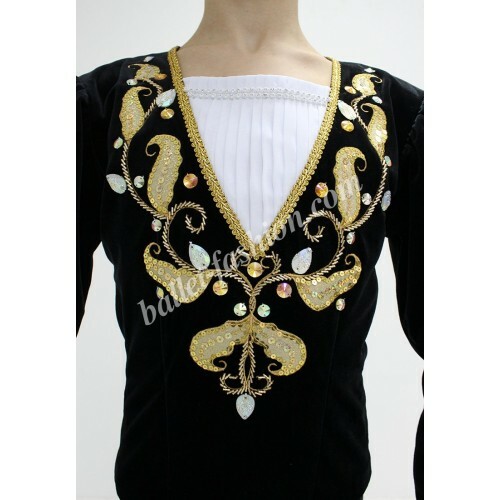 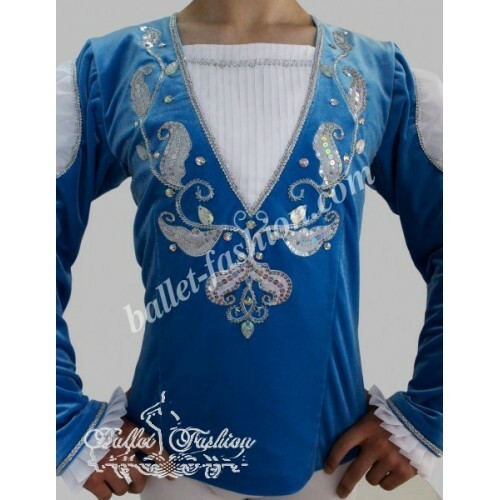 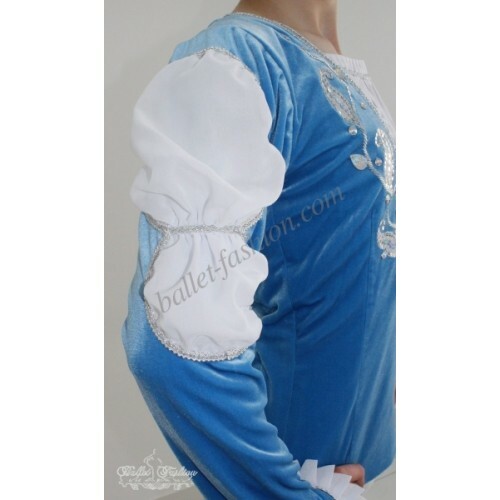 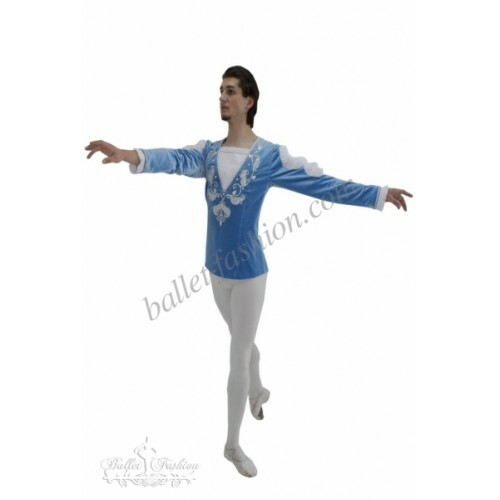 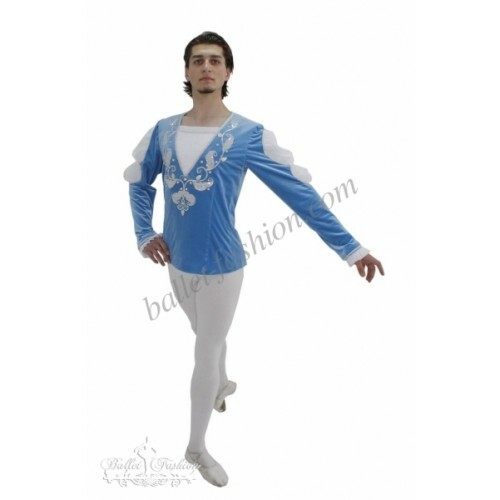 It is a professional stage costume, which is made of the stretch velvet fabric. 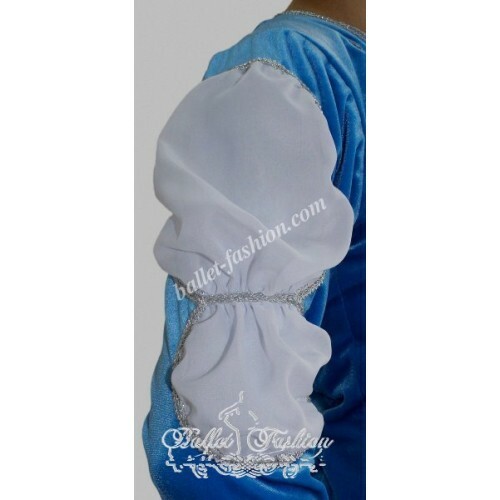 Collar, buffs on sleeves and cuffs are made of white crepe-chiffon. 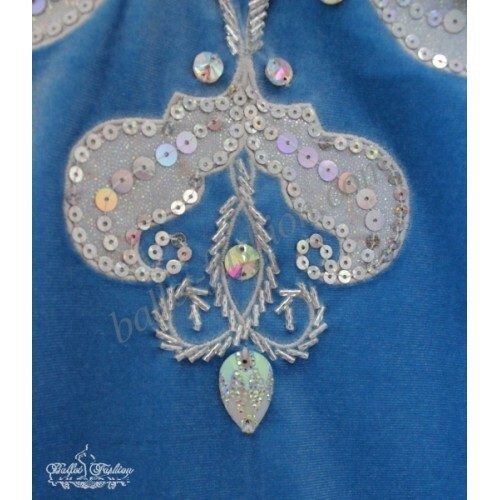 Costume is richly decorated with braid, appliqués and crystals. 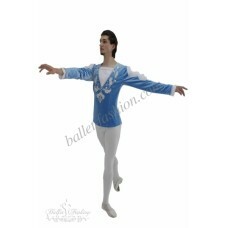 Costume can be used in such ballets as ‘Swan Lake’ and ‘Sleeping Beauty’. 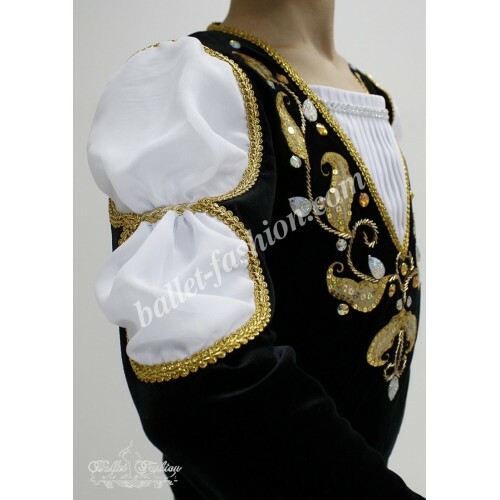 It is possible to choose any color combination you like.